Cardiff City will travel to Gillingham in the Emirates FA Cup third round. The Bluebirds make the long trip to Kent for what will be a tricky tie. “I’m delighted,” said Swansea-born Gillingham manager Steve Lovell. “It will be a great tie. A Welsh team, too. 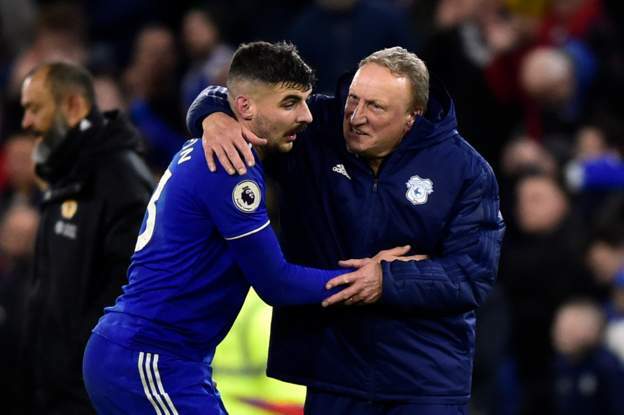 Swansea City make the trip to Aston Villa – that was the final tie drawn – while the winners of Newport County’s home replay against Wrexham will be at home against former Premier League champions Leicester City. 🗞 #Gills will welcome @CardiffCityFC to Priestfield in the third round of the @EmiratesFACup. That would be a massive tie for the Dragons or Michael Flynn’s Exiles. Dutch ace Ruud Gullitt and former England international Paul Ince made the draw at Chelsea’s Stamford Bridge home stadium. Wolves, beaten 2-1 by the Bluebirds in their last fixture, have been drawn against Jurgen Klopp’s Liverpool at Molineux. Guiseley are at home against Fleetwood in the last of the second round fixtures this evening. The winners will face Wimbledon at home.